Xenocide was released by newcomer Micro Revelations. The brains behind the game however, were not newcomers. Pangea software, headed by Brian Greenstone as programmer and Dave Triplet as artist had already created some excellent shareware games for the IIGS. The shareware games Senseless Violence and Cosmocade are worth checking out. Xenocide has a basic premise: Kill the aliens that have infested the moons of the planet Talos IV before they spread to the surface of the planet. The logical way to do this? Completely destroy the orbiting moons! How to do this? You must first travel to the surface of each moon in a hovering assault craft (don't let the aliens mess up your windshield!) shooting aliens and dodging rocks along the way. You must also pick up canisters, which are very important, because they are what you will store your ammunition in for the following levels. Control includes keypad or joystick with open apple being the fire button and option being the missile launcher and space will throw off a nuclear bomb which will destroy any aliens (including canisters however) ahead of you. 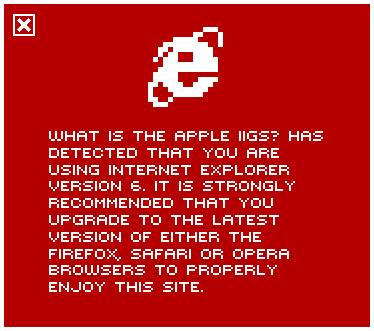 If you can emulate the IIGS joystick WITH a joystick on your machine, do it. This section of the game isn't very pleasant with a keyboard (joystick control here really makes use of the Apple II's analogue control). Assuming you haven't been blown up, or run out of fuel by the time you reach the outpost station you'll then proceed to the second level of a moon. The game now takes the view of 3rd person instead of 1st person perspective, the classic side shooter. The object on this level is to collect 5 bombs located throughout and get to the next level. Fire button shoots lasers. Option shoots grenades. Along the way, you will find pulsating spheres - these will allow you toggle between the options given in the lower middle right of the screen to increase firepower or recharge shields. Space bar selects what is currently toggled to. Keep an eye on the fuel gauge! Next level is very similar to the last, except that you're now underwater, need to keep an eye on your oxygen and have to find keys instead of bombs to allow entry to the next level. The 4th part of the game involves a top down view like Gauntlet and you are required to place the 5 bombs into the nuclear reactors. Then find the teleporter controls, activate them and hop in the teleporter. Do all this 3 times, and you've finished the game! Having different modes of game play is something of a rarity these days. Different modes of play increase challenge and take the player longer to master the game, which is a good thing, although it can seem frustrating at the time. Pangea Software is well and truely alive and kicking today. Power Pete was a 3/4 angle top down arcade shooter (like Ikari warriors) and was released for the Mac in 1995. In 1997, Pangea finished work on Weekend Warrior, a 3D beatem-up/adventure for 3D accelerated Power Macs (the first such game for the Mac) and PCs. In 1998, Pangea had the fortune to have its new game, Nanosaur, bundled with Apple's original iMac. In 1999, Pangea released Bugdom, a beautiful 3D platform game for the Mac (which has since appeared on the PC as well). In late 2000, Pangea then released Cro-Mag Rally, the Mac's answer to all the cute racing cart style games around. In 2001 Pangea released their latest 3D platformer for the Mac, Otto Matic. In 2002, a sequel to the popular Bugdom was released. 2003 saw the release of the real time puzzle game, Enigmo and the space cowboy faring arcade action of Billy Frontier. In 2004, it was Nanosaur 2. 2005: Enigmo 2. And 2006 saw the release of the Pangea Arcade. 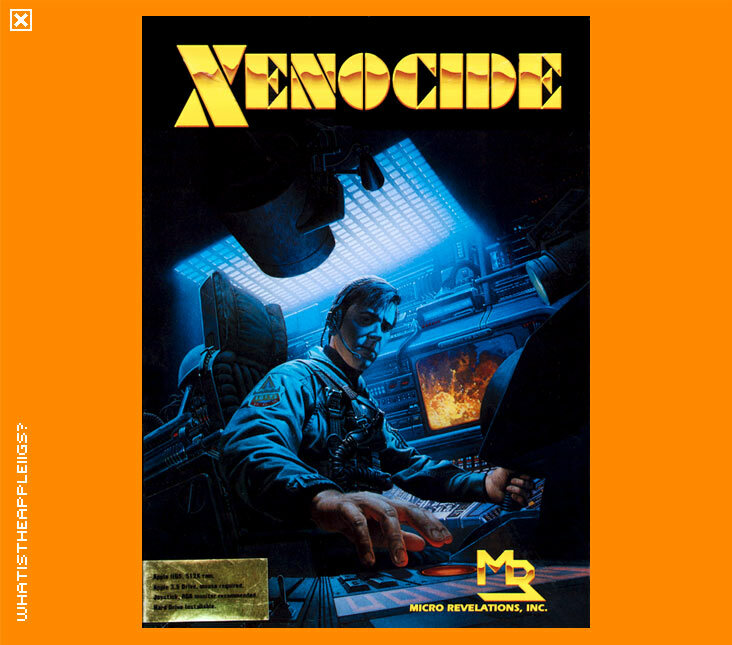 A PC version of Xenocide was made after the IIGS version, and to quote Brian Greenstone "it blew chunks". Xenocide is an excellent IIGS action game.